San Elijo Hills view home located in the Mariners Landing neighborhood walk trails to San Elijo Elementary, and San Elijo Middle. Welcoming open floor plan tasteful living and dining rooms leading to an expansive kitchen. Enjoy the family room with fireplace and built-ins. Highlights include surrounding mountain and coastal views, entry level bedroom w/bath, private office, private master suite, low maintenance yard with spa and basketball hoop. Enjoy covered outdoor seating and BBQ island and bar., This home is upgraded inside and out! Home features upgrades and finishes throughout including premium wood flooring, premium, granite kitchen with stainless steel appliances! Private office. Equipped with A/C and 2 car side by side attached garage. 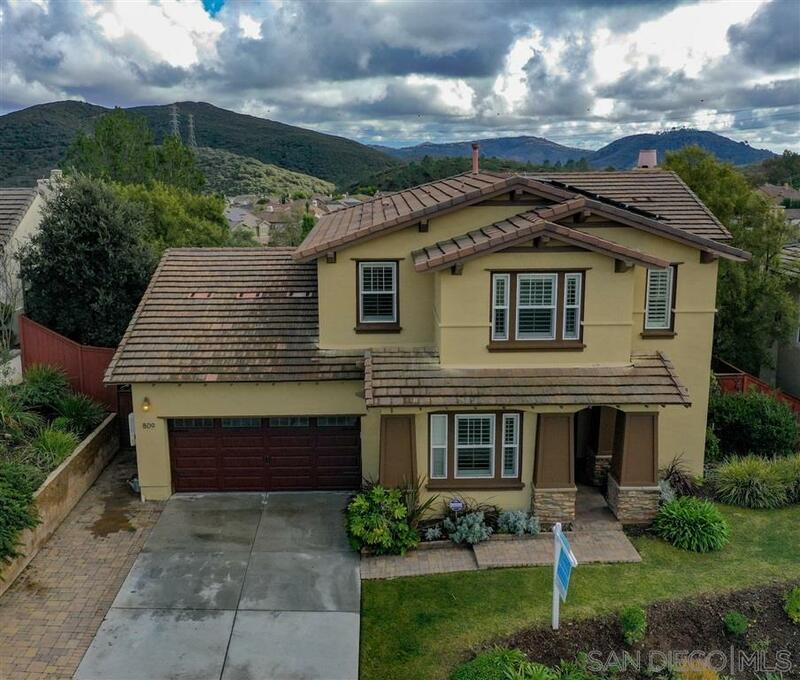 Located in San Elijo Hills, just a short trail walk to community facilities and shopping. Low monthly HOA fee that includes community events. San Elijo Hills master-planned community comprises high ranking schools, ballparks, trail network, sports field, picnic & bbq area, playgrounds, dog park, new town center shops and restaurants, Starbucks; all are within walking distance via 8 miles of trails & 19-acre park, 1000 acres of natural open space.